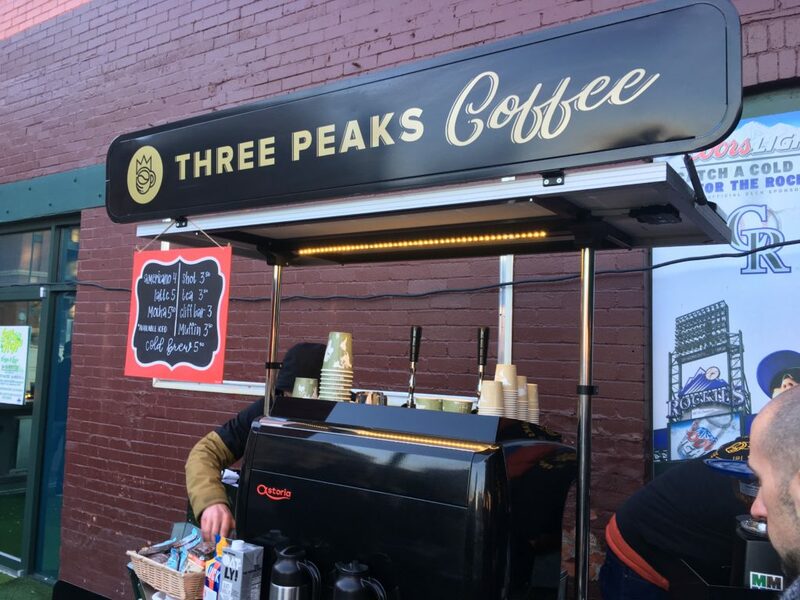 Three Peaks Coffee is taking Colorado to a new high in the coffee cart business. 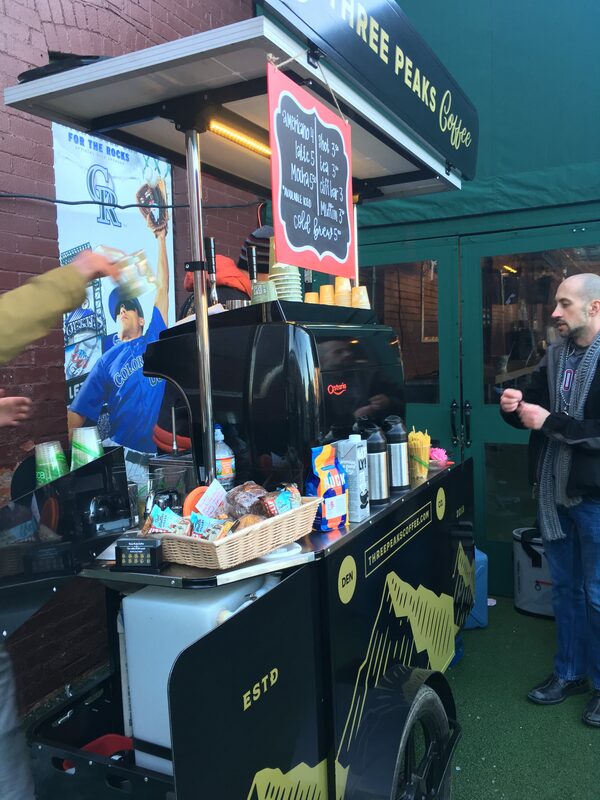 I normally do not review or write about pop up coffee carts, but these guys are the exception, and are worth writing about. Three Peaks is the creation of Logan, Chris and Jake, three friends who have an infectious enthusiasm about coffee and espresso. I came across Three Peaks at the Keggs and Eggs radio concert event, in Denver CO. This was their first time out of the gate, and they killed it. The service was spot on, the espresso was excellent, and high quality. What sold me the most about Three Peaks was their easy banter with the customers. They are clearly there to serve, making sure you have the perfect cup, and a wonderful experience. The espresso and coffee are downright excellent, they are doing a great job representing Huckleberry Coffee Roasters out of Denver CO. They also serve cold brew and tea as well. I had a mocha from their menu, and it was outstanding. A right balance of coffee and chocolate. I came back for a cappuccino that was just as good. I was tipped off about them from my band mates who know how much I enjoy good coffee. They were all a buzz about Three Peaks, and insisted I give them a go. I am very glad I did. Anything else that makes them standout? Yes, they move their cart around on a gas assist bicycle, making it too cool to see in operation. They are riding around the downtown Denver area, and have a very proactive social media (Instagram) giving you updates of where you can find them. 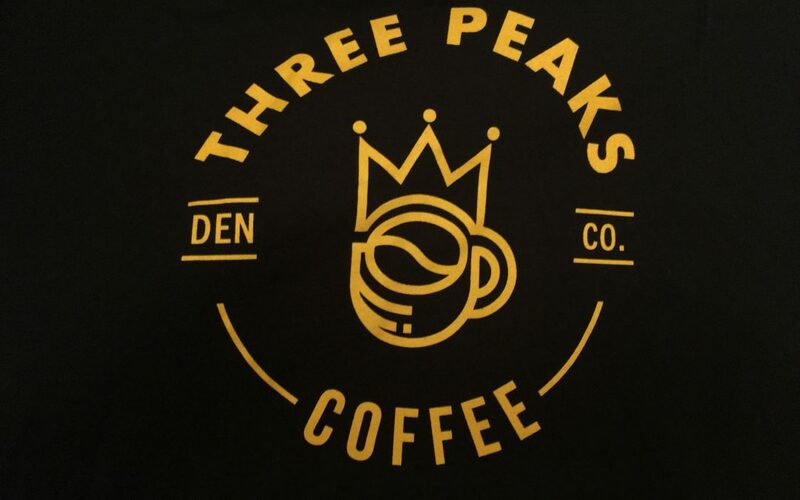 So here is the bottom line from me, if you live in Denver, want to get some local made coffee, and support a local business, then go look up Three Peaks. It is well worth your time and effort, and if you are a coffee geek like me, then Three Peaks is perfect to add to your coffee experience.